Oasis is set to bring a new festival experience to Morocco with its debut event. 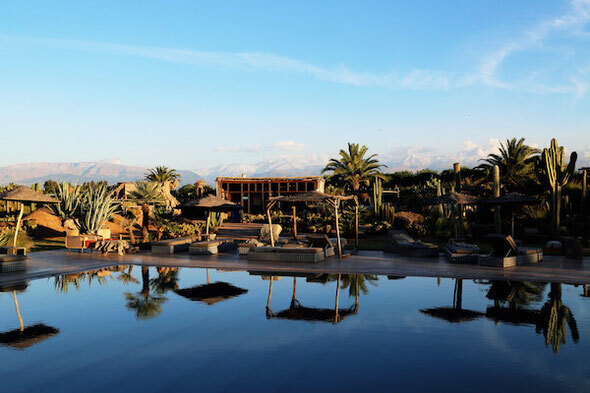 Taking place from 11-13 September 2015, Oasis, the first festival of its kind in Marrakech, will offer up an unexplored festival paradise, in the idyllic surroundings of the Fellah Hotel. The first wave of acts were recently revealed, with headline guests including DJ Harvey, Innervisions’ Âme and an exclusive B2B set from Guy Gerber and Matthew Dear. Nestled on the outskirts of the bustling city of Marrakech at the Fellah Hotel, Oasis is set to be unlike any other event in the region. Guests at the 3-day event will be able to soak up the Moroccan sun as they dance by the main stage, enjoy a refreshing dip in pool, relax under the olive trees and revel in the spectacular mountain views, all whilst enjoying a soundtrack supplied by possibly some of the most innovative, forward-thinking artists of the moment. Alongside headline sets from DJ Harvey and Âme, Guy Gerber will play alongside Matthew Dear in their first ever B2B festival performance. The festival also promises to bring the ultimate blend of house, disco and electronica to the exotic Moroccan location with acts including Stockholm native and Studio Barnhus co-founder Axel Boman, Swiss duo Adriatique, an exclusive debut b2b set from Chloé and Michael Mayer, Life And Death label head DJ Tennis, house legend Derrick Carter, Simple Records / Aus Music founder Will Saul, Anjunadeep’s MANIK and Martin Roth, plus Agoria, Alex Niggemann, BLOND:ISH, Danny Daze, Ellen Allien and Fairmont. Check out the teaser video below for more info.